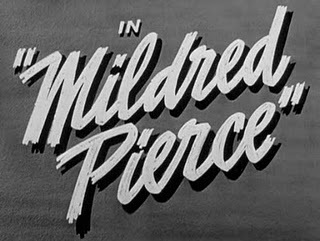 Once HBO launched its five-part miniseries Mildred Pierce, I knew it was important to bring attention to the original 1945 movie of the same name. 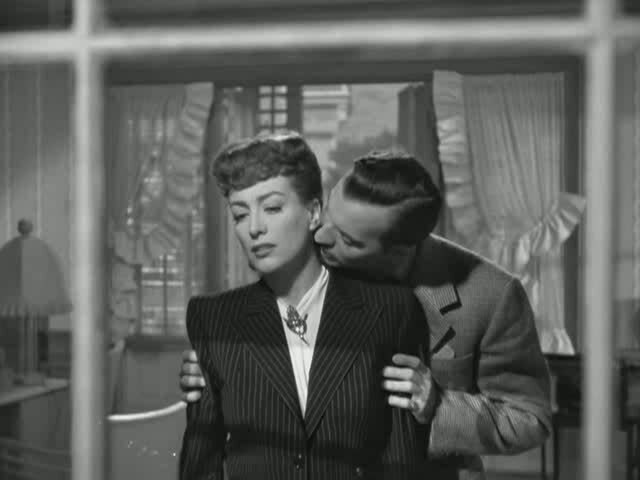 Mildred Pierce has actually become one of my favorite films over the years...a Warner Brothers film noir classic. 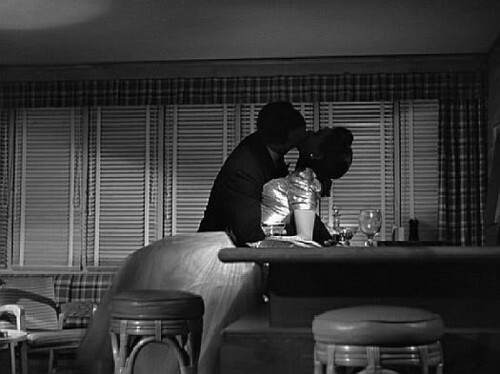 It's based on the 1941 novel by noir master James M. Cain, who was also responsible for writing the great Double Indemnity and The Postman Always Rings Twice. Yet there's something deeper in this particular work of his. The story is set in the midst of the Great Depression and its topics are eerily on point today. The strain on a family during that extreme economic crisis, a working single mother, an entitled and rebellious teenager, and a woman with an entrepreneurial spirit and vision. It's for these reasons that HBO thought it was perfect to remaster today. But nothing can come close to the edge of the original movie. 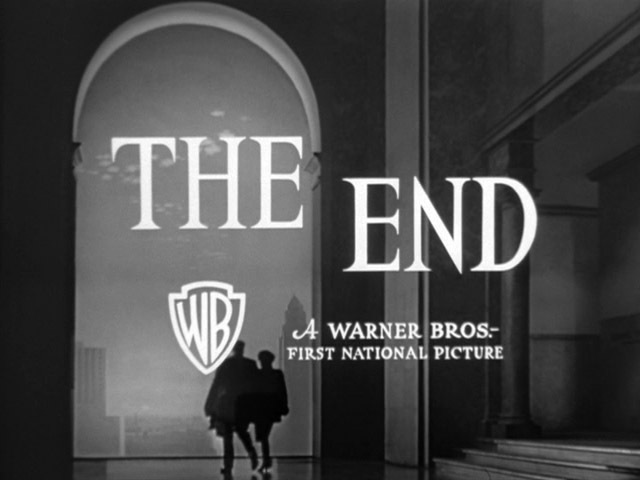 For one, Michael Curtiz was at the helm as director. If you don't know the name, you do know his films and one happens to be widely regarded as the best of all time--Casablanca (1942). 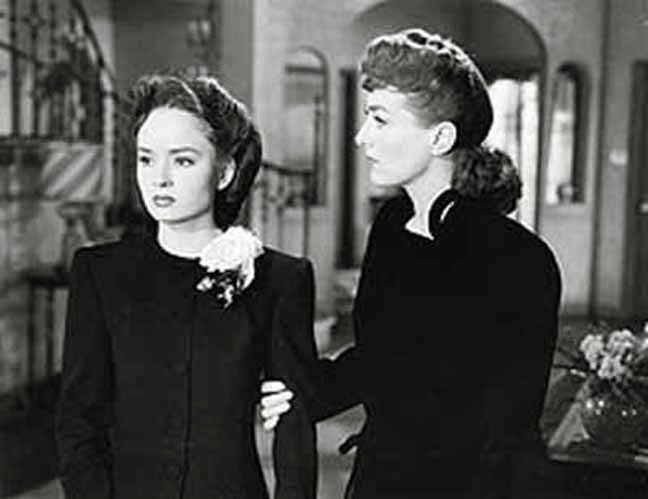 What's key is the way that Curtiz allows the story of Mildred Pierce to unfold in pure film noir fashion--we meet Mildred dressed in fur ready to jump off the Malibu Pier, a mystery right from the start and told in flashback complete with main character voiceover. 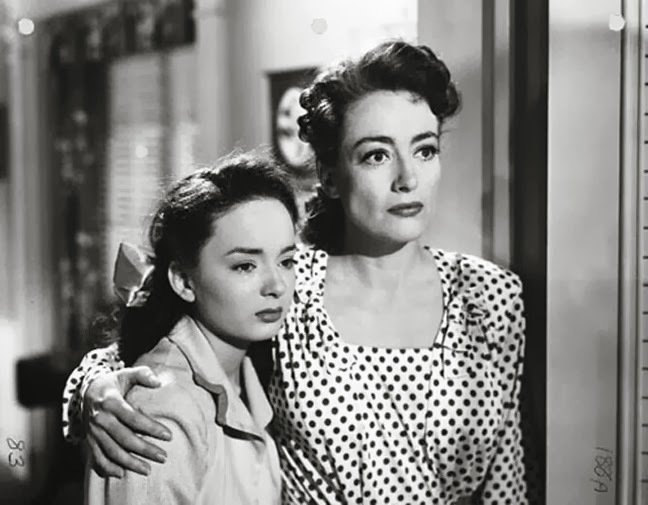 Now add the look of the film from cinematographer Ernest Haller, who won an Oscar for his color cinematography on Gone with the Wind but bathes Mildred Pierce in rich black and white. 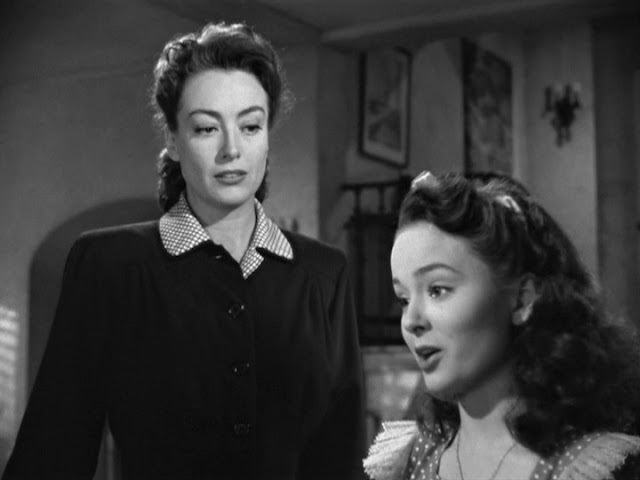 We also have many actors at their peak here and most were nominated for Oscars, including Ann Blyth (Mildred's spoiled daughter, Veda) and the wonderful character actress Eve Arden (Mildred's best friend, Ida). 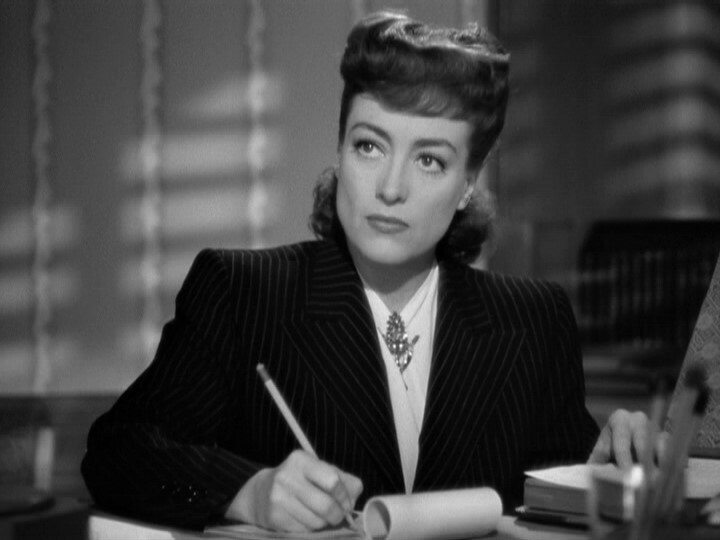 But it was Joan Crawford who won the Oscar for Best Actress...and what a win it was. 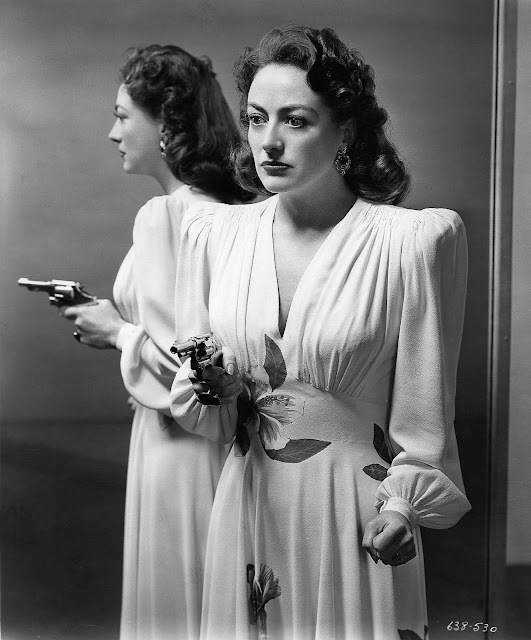 After decades at glamorous MGM, Louis B. Mayer unceremoniously cast her from the studio. 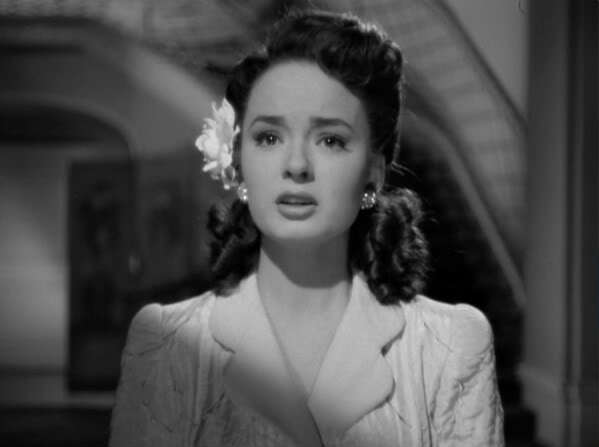 Joan felt as though she had lost everything. Surprisingly, it was the gritty Warner Brothers studio who picked up her contract and gave her a home. 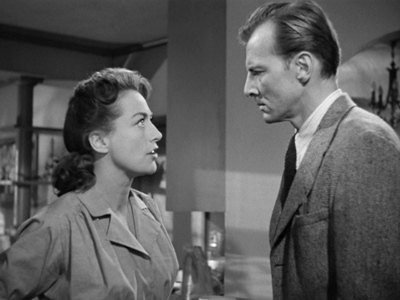 Mildred Pierce was Joan's one shot to prove herself to them. 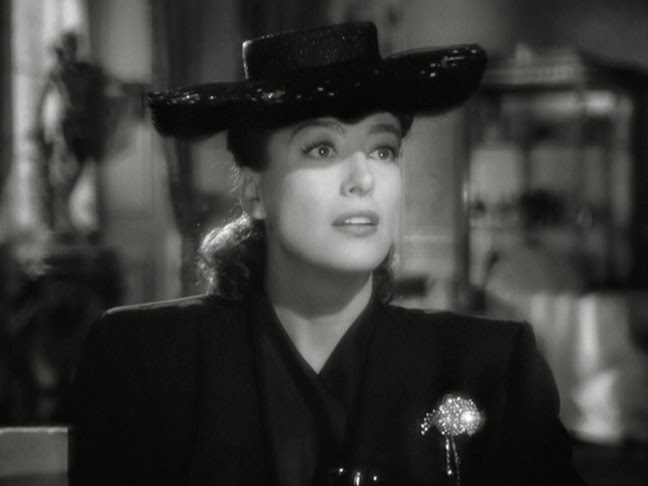 She literally had to fight for the role from director Curtiz. 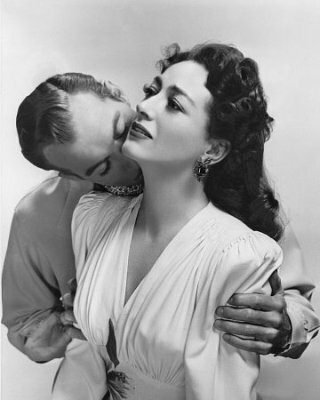 He hated Joan and hated her style, particularly the strong shoulders that were her trademark at MGM. He even allegedly ripped a sleeve off her dress during one early heated exchange. Joan, in an attempt to delve into character, had bought a simple housedress from Sears for the audition...one without any such padding. 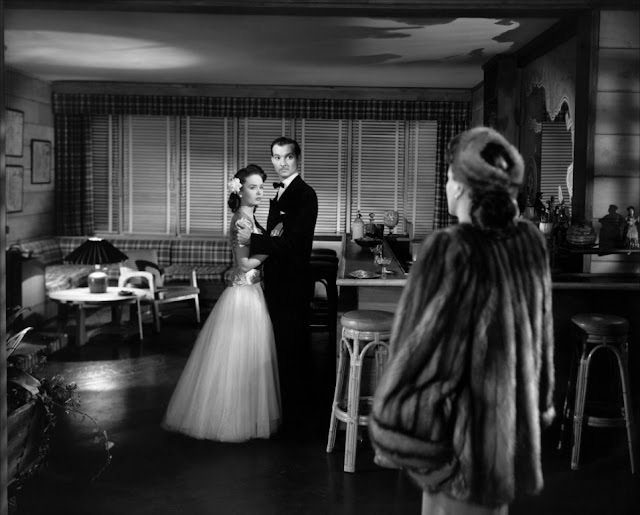 With the sleeve dangling from the dress, she flashed Curtiz a bare shoulder and said, "I'm afraid they're all mine." This is exactly the type of challenging life experience that made her empathize so strongly with this character and allowed us to see her best performance. 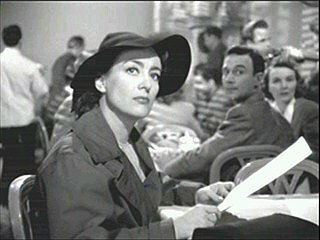 She was strong yet vulnerable in the role, and she's so good that there are actually moments you may forget you're watching Joan Crawford. 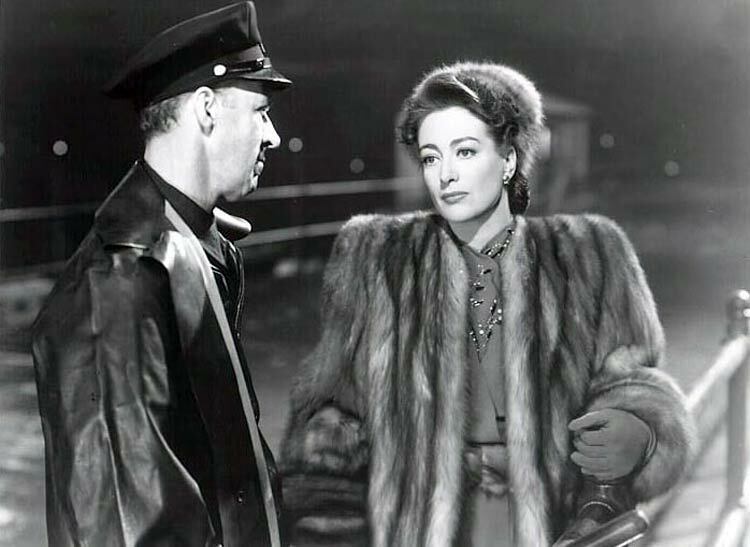 But it is Joan Crawford and part of the pleasure of her pictures is the glamour she will always bring. 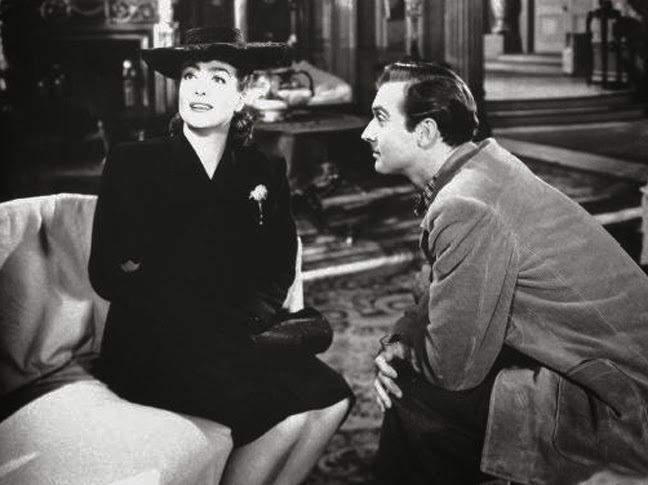 Because Mildred moves from poor to professional woman, Warner Brothers' costume designer Milo Anderson provided a slightly more subtle glamour for their leading lady. 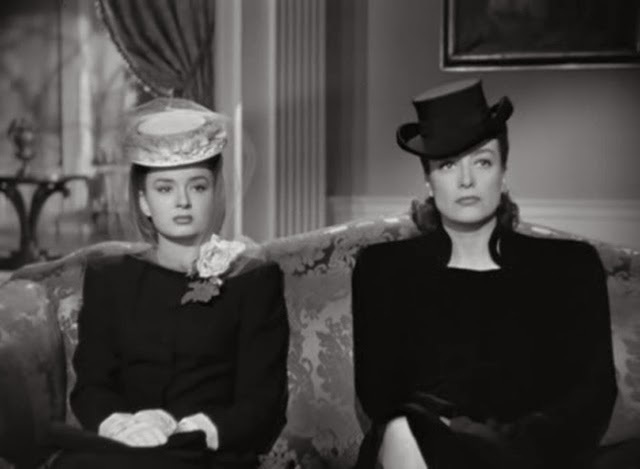 Much of the costumes are suits for the career-oriented character, and they are so influential that fashion designers still make ones just like these for working women today. 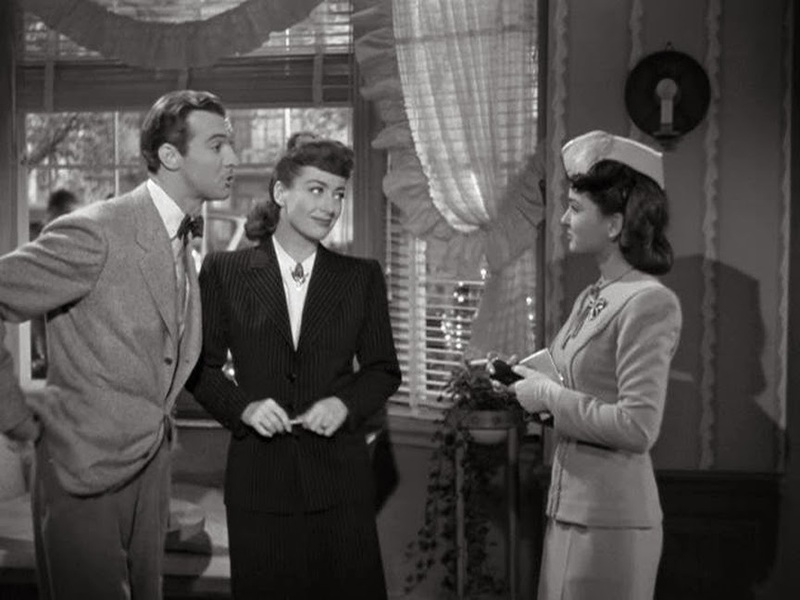 Over the protests of Curtiz, we can see that Anderson still managed to sneak in those strong shoulders; this was a style that Joan's beloved friend and costume designer Adrian began in order to balance her proportions and create the illusion of height for her petite frame (reported as being anywhere from 5' to 5'4"). 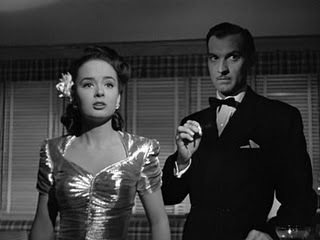 That design continued its magic here since Joan always seems 6 feet tall when standing against any of her adversaries. What impresses me most, though, are her close ups--the perfect bone structure of her face and the emotion that she's able to bring to her big blue eyes. 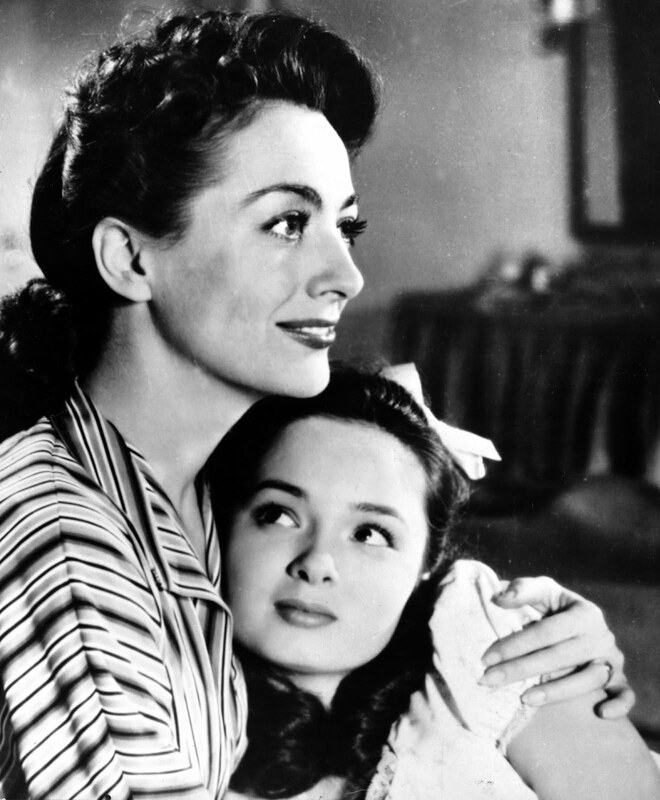 See if they don't draw you into all the drama of the 1940s classic Mildred Pierce. 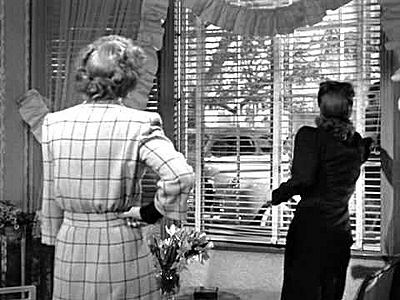 The car Mildred gives to Veda is not a Pontiac (veda would never have approved of a car of such low stature), it is a 1940 Buick convertible. The car Mildred drives is a 1942 Cadillac, and Wally Fay's car is a 1941 Buick Roadmaster convertible. 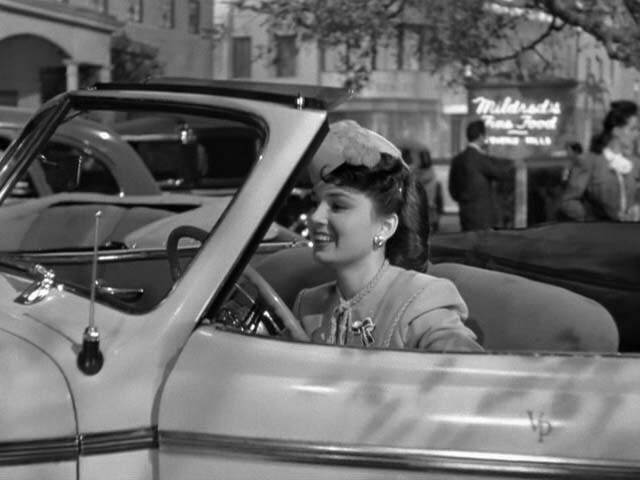 Monte Beragon drove a 1941 Oldsmobile 98 convertible. Mildred, Wally, and Monte all drove top of the line models, Veda got a relatively modest Buick Special. 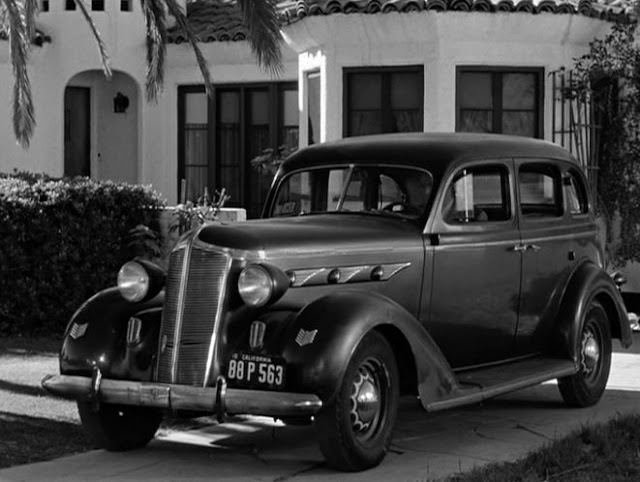 Still, it was a Buick, not a lowly Pontiac. 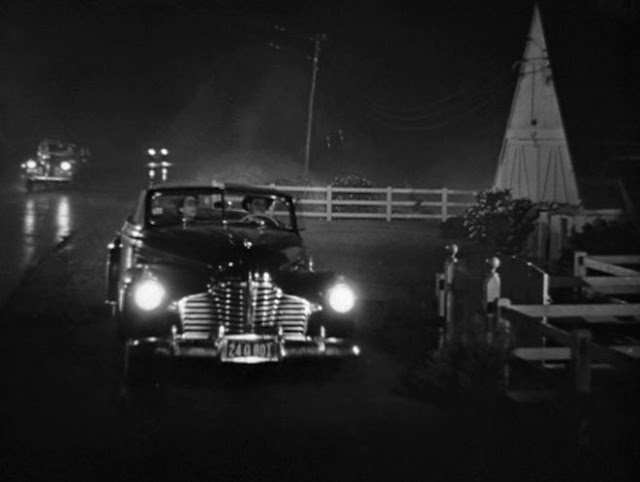 In the book she got a Packard 120 (the lowest model on the Packard lineup). Thank you thank you thank you! When I borrowed that image of Veda's car, I trusted the caption they gave to it with the make and model. I will make the adjustments as needed to my article. I'm a lover of classic automobiles, so I really enjoyed the education on these cars and appreciated the time it took for you to share it. Nothing better than a classic film AND classic car fan! I even shared your post with my BF, who enjoyed it as well...though took exception to your description of the "lowly Pontiac." He drives a 1972 Le Mans Sport convertible (a Pontiac) and used to have a 1967 Firebird (another Pontiac) years ago. Of course Pontiac came a long way in between the 40s and the 60s, but your description still made us chuckle. If you care to see a pic of me and the Le Mans, you can see it in my article on Steve McQueen in BULLITT here on GlamAmor. Thank you so much! This is why I love the internet--it is filled with film fans and experts. 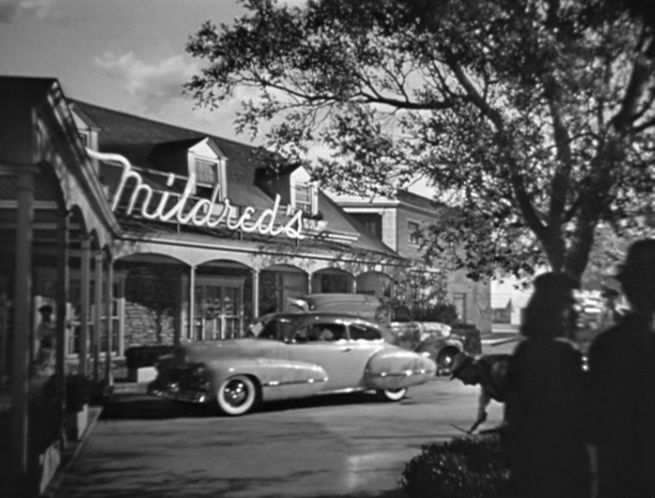 I thought it was simply a publicity shot for the movie as it is indeed labeled MILDRED PIERCE everywhere. So happy to finally be able to identify it correctly. 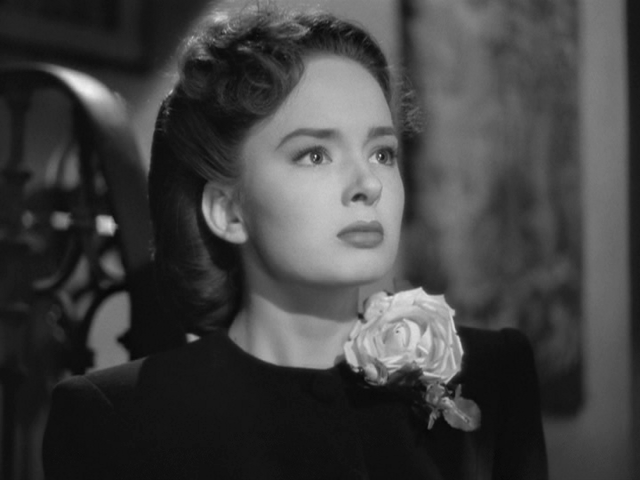 It's been removed now and I've used this as an opportunity to update the article with even more photo stills from MILDRED PIERCE. Thanks again!